The first public film screenings took place in the last decade of the 19th century but by the early twentieth century the film industry really began to take off. The public was soon enthralled by this new and accessible form of entertainment and the collection of books in the Library Tower from this period reflects the ever growing interest in the cinematic experience. 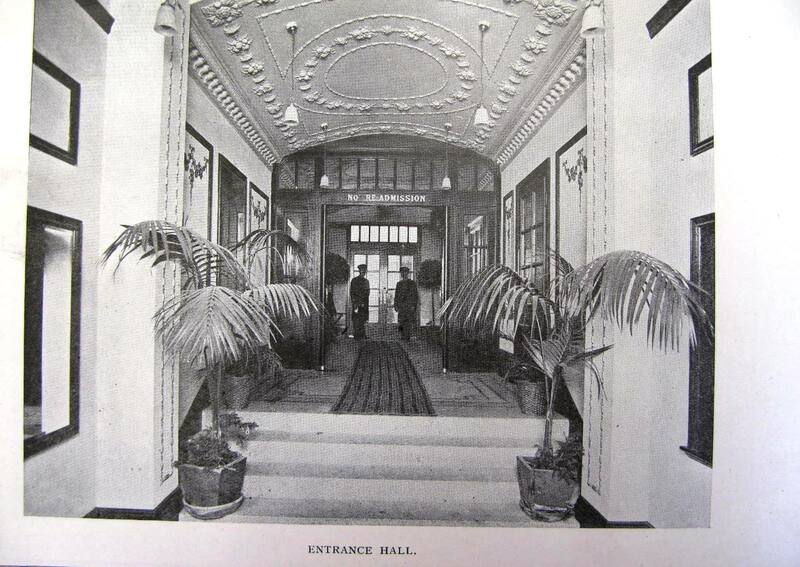 Going to the cinema in the early twentieth century was a grand affair compared to today’s standards. The following picture shows a design for a facade for a cinema by Mr. Wm. Warman from 1922. 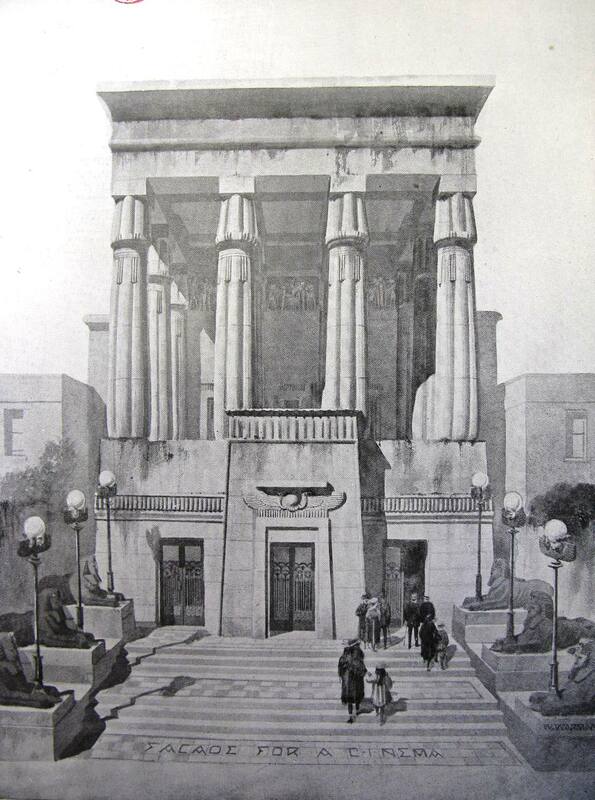 The design of the building is Egyptian in style and includes statues of the muses of Tragedy, Comedy, Music, etc. 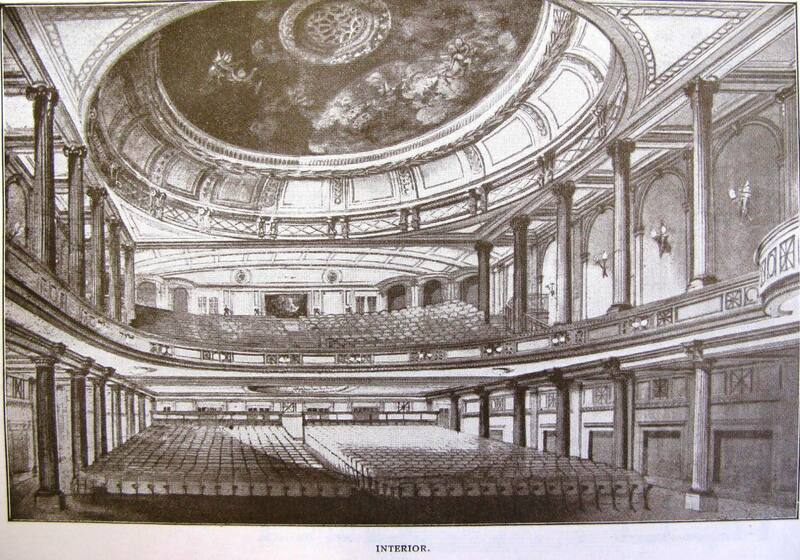 The interiors of the first picture houses were similarly impressive. Clearly borrowing the architectural and decorative designs from traditional theatres, these interiors are as far from the uninspiring Odeons and Cineworlds of today as we can imagine. 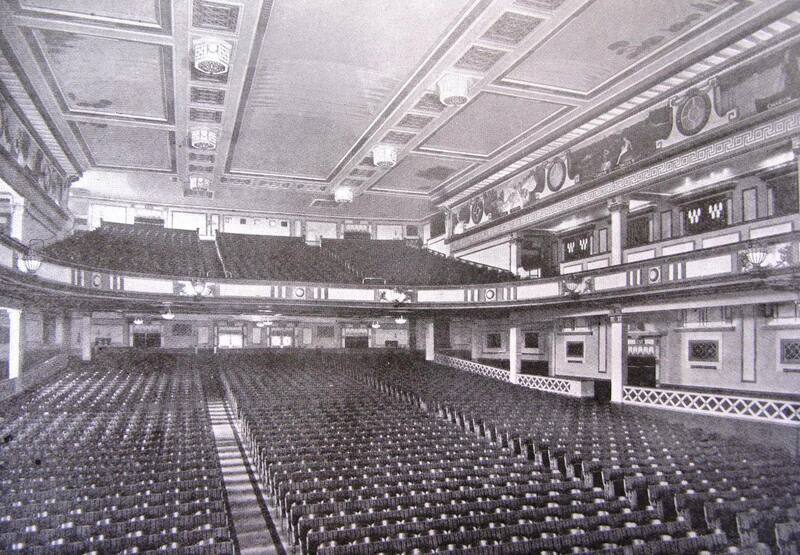 The picture houses also had much bigger capacities, reflecting the popularity of the new medium.